I have been a crafter for as long as I can remember. 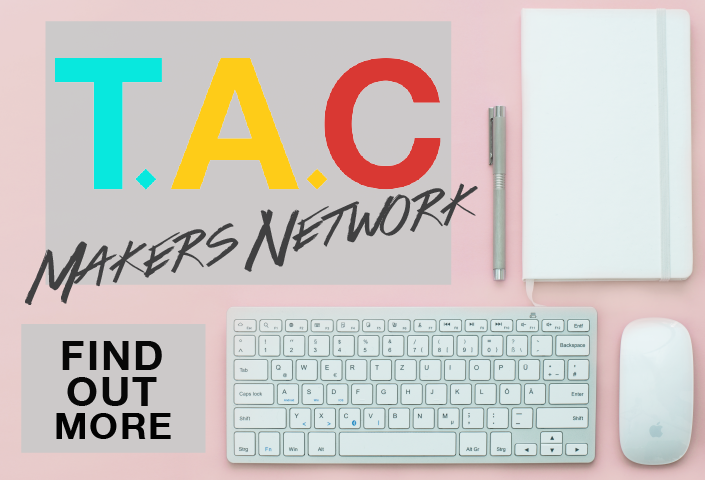 If you are a crafter yourself, you will know that sometimes, organising our craft supplies can be overwhelming. 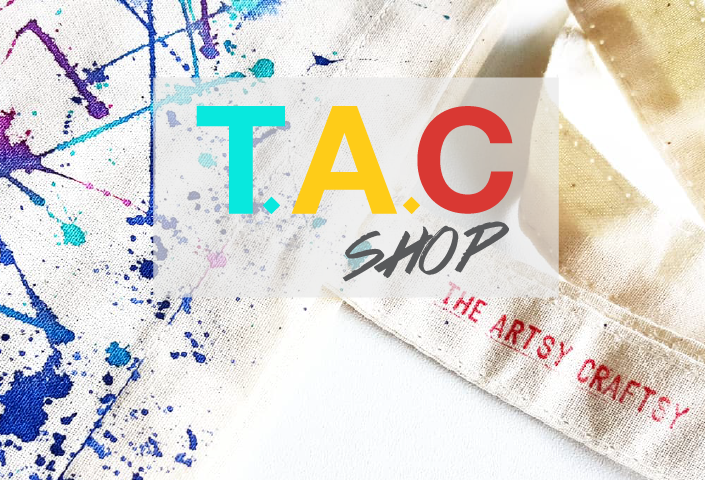 Over the years, I have discovered that organising your crafts will enable you to keep track of what you already have. This will result in your buying habits: buying only what you need and not accidentally buying the same material or tool. There are a lot of craft supply storage available and some can be rather costly. Here, I would like to share with you a few items that can be found lying around your home that you can use to organise your craft supplies at minimal or NO cost at all. For some of us, tin cans are common around our homes as we consume condensed milk, sardines, bake beans or soups. So why not re-cycle them by using them as storage for your paint brushes or stationeries. 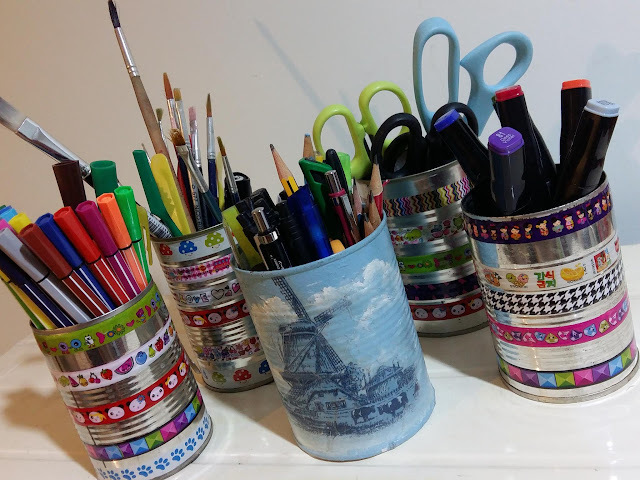 You can decorate these tin cans with Washi tape, patterned paper or if you are feeling creative, decoupage! Once you have emptied the tin cans, make sure you give these tin cans a good wash and dry them thoroughly. Be sure also to close down the sharp edges of these tin cans as you do not want to cut yourself. I used a flat head pliers for my tin cans. This, I am sure many of us will not be short of around our home, especially during the festive season. I love using these clear plastic containers as you can see through them. You do not need to open the containers to check your contents. You can re-cycle these plastic containers to store your sewing materials such as zips, ribbons or lace. You can also store your crafts supplies such as tags or Washi tapes. 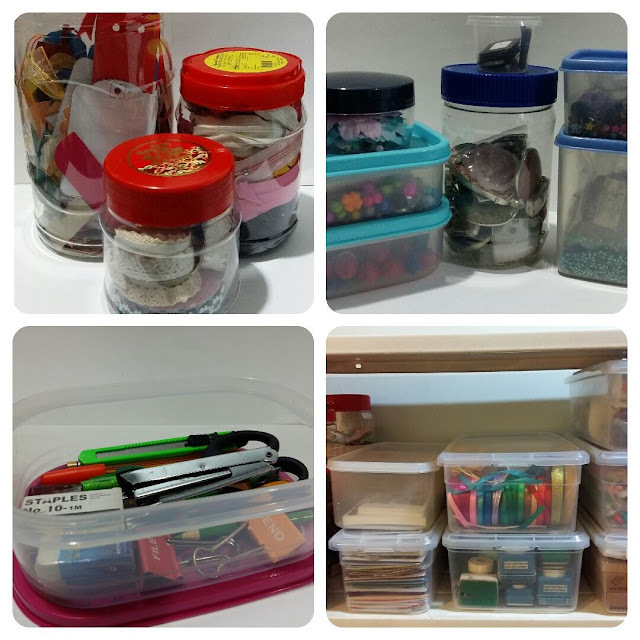 Think out of the box when it comes to some of these plastic containers, not only do they store our food, but how about using them to store beads or pendants from our beading projects. Forget cloth pencil cases, why not use a plastic food container to store your stationeries! 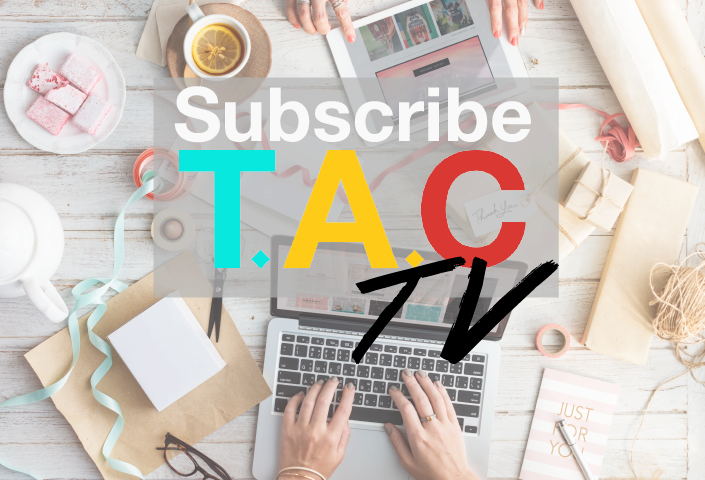 It comes in handy when you want to carry around bulky items such as stapler, scissors, blade or binder clips. Plastic shoe boxes are also useful. Here I have invested in some shoe boxes that I purchased from a Japanese store. I bought them the same size as it was easy to stack them together. I have managed to organise my craft supplies such as mini punch holders, rubber stamps, ribbons, handmade cards and planner crafts. This is one item that we take for granted. 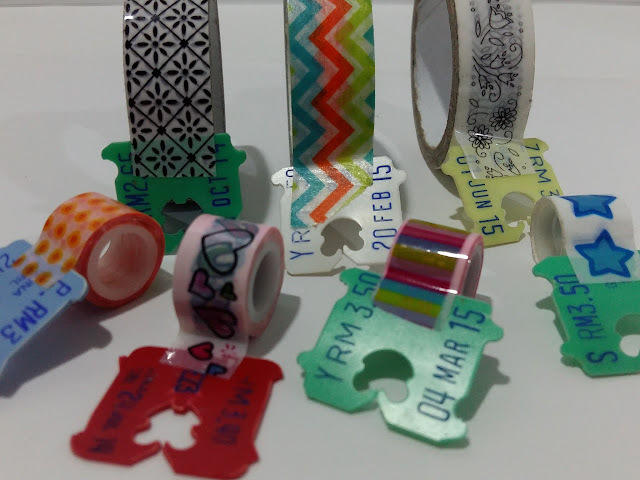 They are so useful especially when you tend to use Washi tape or any other kind of tape often. You do not have to waste your time looking for the ends. 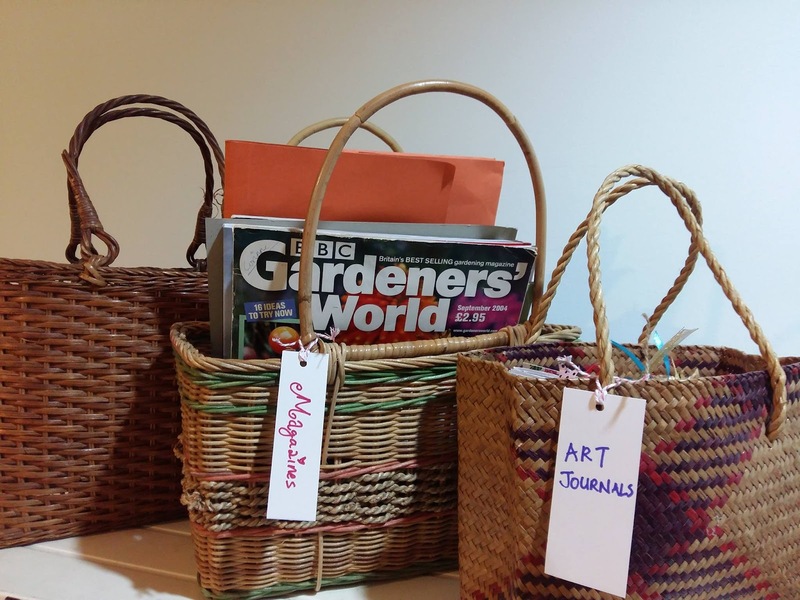 Baskets are also another good way of organising your craft supplies. Some of my baskets were from hand me downs and from hampers. I would normally keep pattern papers, magazines for collage purposes and finished art journals for sale. I will add labels to these baskets so that I will know what is stored in these baskets. 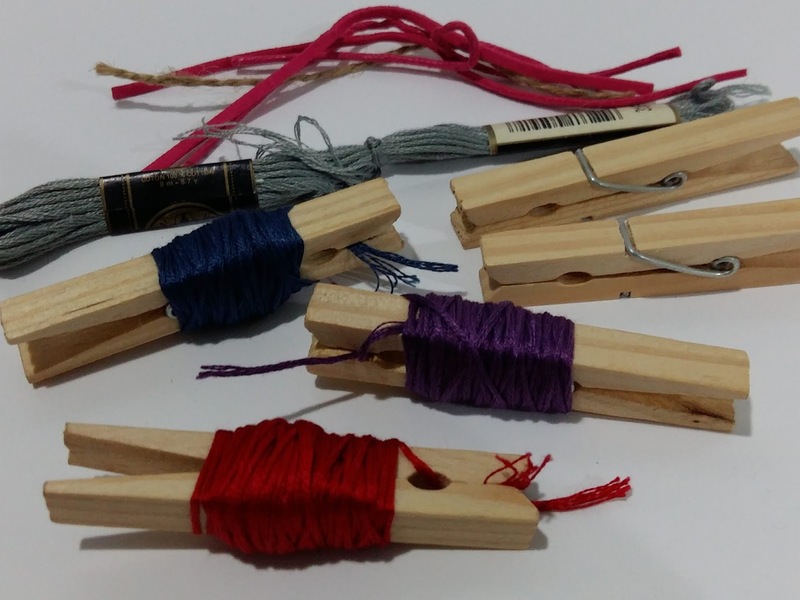 Pegs are useful to help you organise those left over threads or twine. These pegs are easily purchased from hypermarkets or at your local hardware store. For those who love old items, instead of just keeping them, why not make use of them. 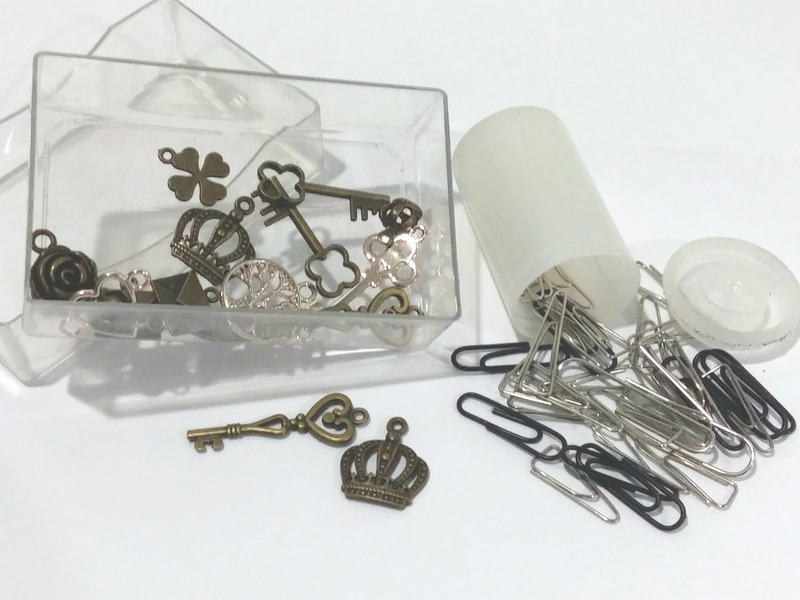 Business card boxes are good for storing your charms or trinkets. The other item is a film container, with digital and smart phone cameras, the younger generation may not have heard or seen this. Film containers are good for storing beads and other smaller items. I store paper clips in mine. 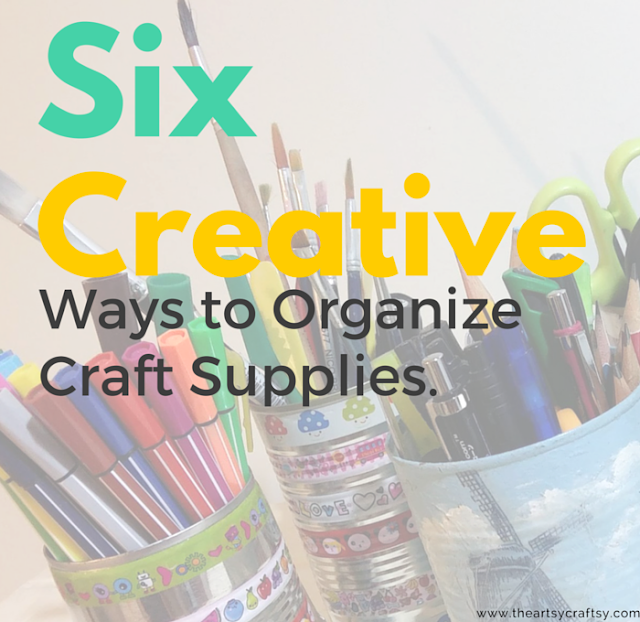 Organising your craft supplies does not have to be expensive or mundane if we bring our creativity into it. So the next time if you find something lying around your home, ask yourself what could it be used for.